More than just a trip: What to see in Amsterdam. I’m not going to go too in depth into this museum, and encourage you not to read about it too much, because it doesn’t sound like you’d be missing much by not going. But one thing’s for sure: you must visit. What initially seems like a relatively ‘nothing special’ bunch of glow-in-the-dark rocks [if some online descriptions are anything to go by], is turned into an absolute pleasure by the passion, knowledge, and skill of the museum owner / guide, who is clearly well-versed in the ways of the paintbrush, the UV light, and the blacklight. 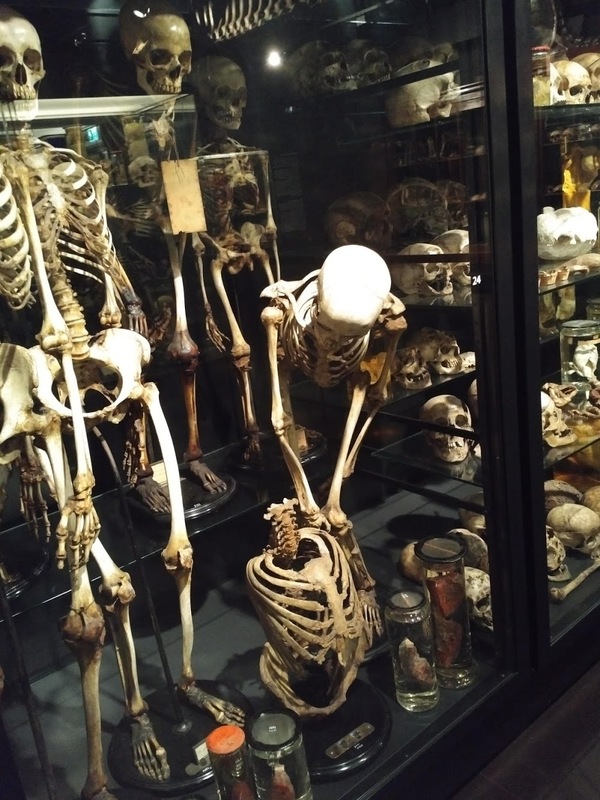 With free entry to anyone with an iAmsterdam tourist card, and with a variety of permanent and temporary exhibitions, the Amsterdam Museum is an irresistable proposition, and I would recommend placing it towards the start of your trip. The museum not only recounts The Netherlands’ history as a naval powerhouse, the status of religion and tolerance in the country, and more ‘populist’ historial events, but also has an intriguing exhibition on graffiti [which conveys the links between graffiti from Amsterdam and New York, and sparks an interesting debate on what point something stops being ‘graffiti’ and starts being ‘street art’. Thinking of buying some souvenirs for a loved one? Don’t buy anything orange – it’s not really present until Koningsdag [King’s Day] or an international football match. Avoid items that say Amsterdam on them, too, unless you want everyone to be silently judging you. Instead, I recommend buying a trinket or two from this lovely little boutique on Prinsengracht. The pieces are all made by the person who owns / runs the shop, each one unique in their own way. Luckily, the prices don’t break the bank, and the owner is a delight to speak to while browsing. I hate modern art, but love modern design. Thankfully, this museum serves as Amsterdam’s home to both of these, and charts the rise of the modernist movement, and also shows that some pieces of modern design aren’t as modern as you think! biggest gripes with myself on my trip was that I’d end up taking a tram from Centraal Station, but would always somehow end up walking back to Centraal Station again in the course of my travels. However, the city’s canals are a great way to see Amsterdam from another view point, and the tour guides always provide some helpful background information on the area and its architecture. You get one free tour with the iAmsterdam card, so why not? In the grand scheme of things, it doesn’t exactly ‘feel like’ a museum, given its slightly small proportions. However, it does offer yet another fascinating insight into the history of the Netherlands, and the history of the flower that will forever be associated with them. Some of the decor inside the ‘museum’ is stunning, and it’s a wonderful way to spend some time if you’re in the area. Forget the watered-down, United States-influenced ‘Mexican’ food you see at food chains near you. Los Pilones, a local business that is now flourishing across the city, serves authentic Mexican cuisine in a bustling atmosphere right near the centre of town. Yes, that’s right. I told you to go to The Netherlands to get Mexican food. This isn’t exactly in a central location, but absolutely perfect if you want to get out of the hustle and bustle for a short period, or great if you’re staying in the south east! 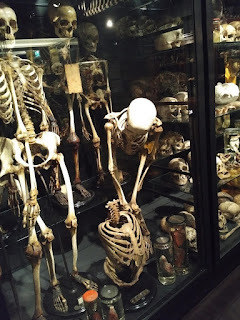 The Vroliks’ Museum is dedicated to biology, and, more accurately, anatomical anomalies. The museum isn’t for the faint of heart, and even those with a strong constitution will be amazed and touched by some of the artefacts on display. But it is definitely worth a visit to remind you about the fragility and variability that exists in the human body! It’s not a museum. Just a cheese shop with an entire basement for PR and Marketing. Cheesy in more than one sense. Don’t even bother going here just because the queue for the Anne Frank Huis is too long and you think this will keep you entertained. Again, it’s more advertorial than eye opening, and don’t be conned in to going because of the free bottle of beer. While I did not get to see Brouwerij ‘t Ij [they only run tours on a Friday], I hear it’s a much better experience from a much better brewery! Honestly, they’re just parks or gardens. That’s it. If you’ve got a park near you, it’s pretty much the same thing. Though I am assured that they do become more of a spectacle in the summer months.